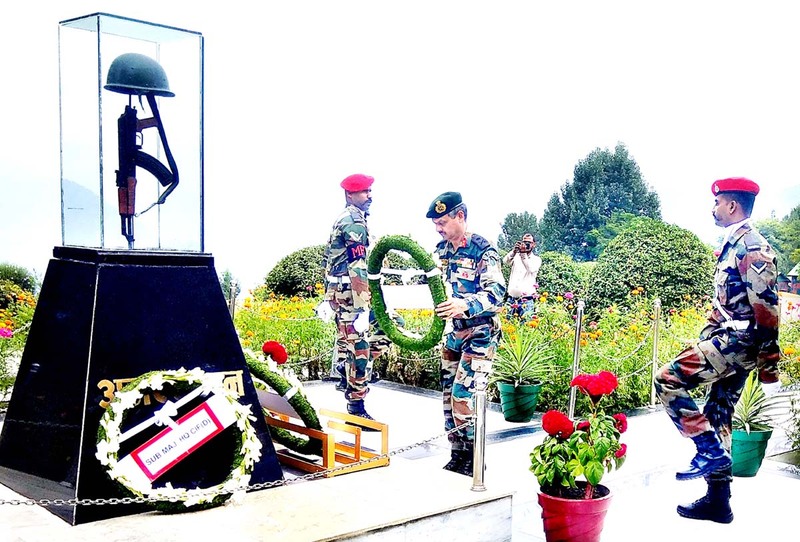 GOC Delta Force, Maj Gen Rajiv Nanda laying wreath at War Memorial near Batote on Thursday. BATOTE, Sept 6: The 25th Raising Day of the Counter Insurgency Force Delta was observed at headquarters Delta Force, Batote War Memorial, “Veer Smriti” at Dharmund, 5 km from here on Thursday. The ceremony began with wreath-laying ceremony by Maj-Gen Rajiv Nanda, General Officer Commanding Delta Force, at the war memorial and was followed by “Salami Shastra” and “Shoka Shastra”, paying of homage to the brave martyrs who laid down their life in the service to the nation, a Defence spokesman said. Raised on September 06, 1994, the Delta Force is said to be instrumental in eliminating terrorism from Chenab belt and ushering peace in the region. Apart from its primary role of preparing to combat terrorism, the Delta Force has been actively engaged in counter-insurgency and counter-terrorist operations in the Jammu region. During the period of militancy in Chenab region, the Delta Force helped in combating terrorism and restoring normalcy and faith of civilians in the democratically installed Government of the State. In 24 years, the Force has been honoured with 1380 gallantry awards including one Ashok Chakra, 5 Kirti Chakras and 46 Shaurya Chakras. Addressing the troops, Maj Gen Rajiv Nanda conveyed his felicitations to all veterans and personnel of Delta Force, who have contributed to the success of Force. He Further called upon all ranks to rededicate themselves to the motto ‘Dridhta and Veerta’ and to strive for further excellence. “Delta Force will continue to play a pivotal role in ensuring peace, security and development in the region through relentless counter insurgency operations. 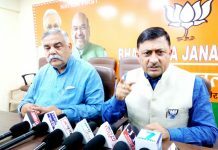 Sadhbhavana endeavours are also being concurrently perused to provide opportunities to the common masses in areas beyond the reach of local administration,” Maj Gen Nanda said. Later GOC also met with the war veterans and ex-servicemen of the area and assured them every possible help.